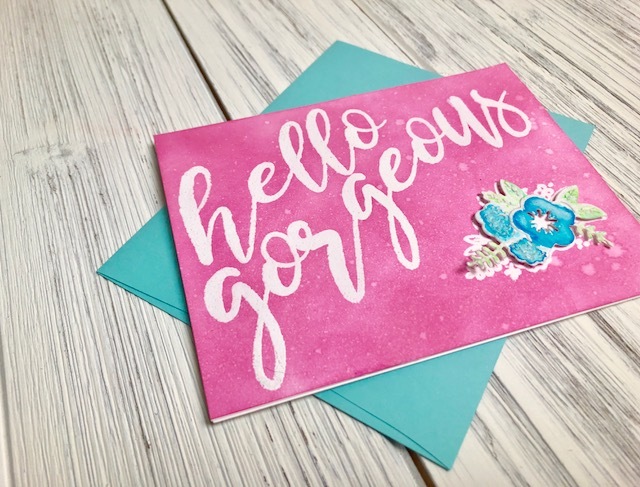 4 x 6 stamp set titled Hello Gorgeous. It is beautiful handwritten text along with a grouping of flowers. This set was also released with dies. The dies are huge and the flower grouping cuts amazing. I decided to use a heat emboss resist technique with this set. 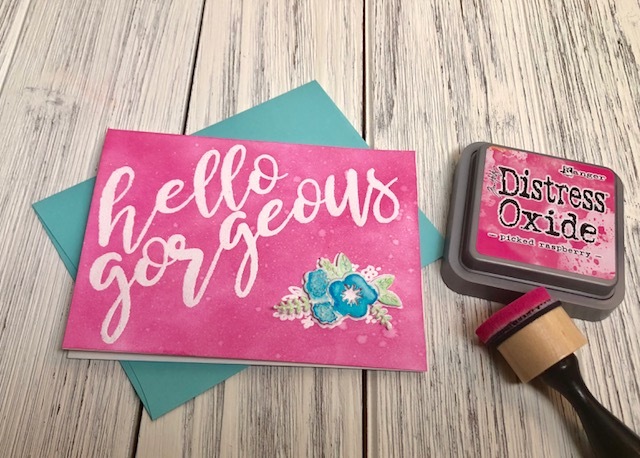 Emboss resist is so much fun and so simple to do. When you add embossing to a panel and cover it with ink the ink will resist the area's that are embossed. The ink sits on top of the embossing. Once you take a towel and buff it off the shine of the embossing appears again. I wanted to add additional dimension to the card along with some watercoloring. I decided to heat emboss the group of flowers, but also heat emboss them again on watercolor paper and use my ZIG Clean Color Real Watercolor Brush Pens. It is so easy to watercolor with these pens and the results are always beautiful. Using the die from the die set I cut out the flowers and added them with foam adhesive to give it extra dimension. 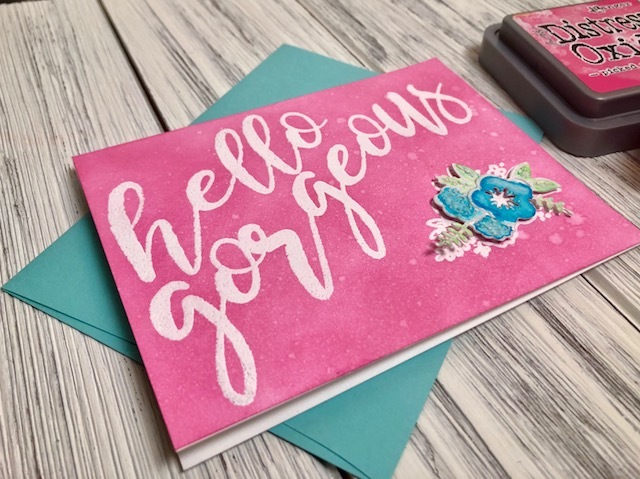 This was a simple card to create that you could easily create a bunch with different colors at one time to have on hand. 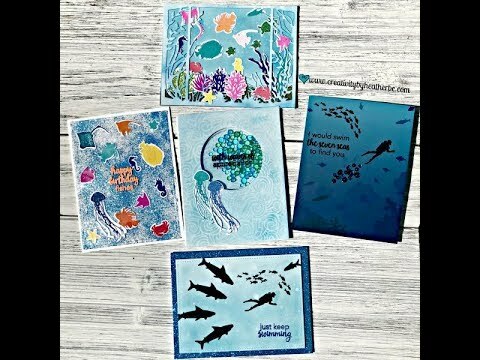 Don't forget to check out the great products at The Ink Road Stamps. Don't just follow your dreams LIVE them! Note: I do use affiliated links. What this means to you is, at NO additional cost to you I receive a commission when you purchase a product through one of the product links. This allows me to continue to purchase new products and create additional inspiration. I list links for several companies so you are able to locate the best prices for the product. All products used are purchased by me and not received from any company.